This system is a somewhat larger and more extreme version of the one I made for CW5. No metal at all except the three spots per landing zone that the system designer gives by default, and each clan gets one landing zone per planet. There are three planets in total, of 700 radius each (a lava, a desert, and a watery one), plus an asteroid belt, with no metal on the asteroids. Whoever wants more metal has to take it by destroying an enemy base. No other way to get metal in this system. It will be tough AF for us, since it forces us to spawn apart to grab what meager metal is available, but there shouldn't be any lag at all, and I am hoping it will prove a stiff, interesting and unusual challenge for the experienced clan players. Cool system, it'll be an interesting game. Not sure yet who should cast the War. I guess I will wait to see how Nigh does with the League games, and if he does well, I'll ask him to cast this too so we can have an experienced team in the game, otherwise either I will cast or recoil. 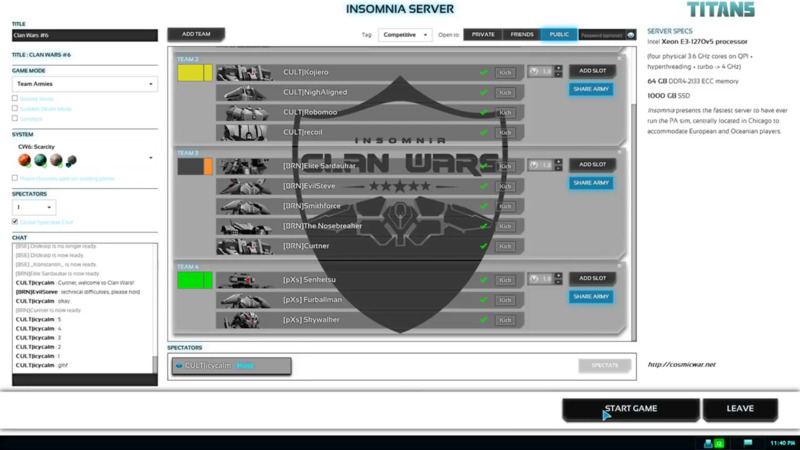 recoil wrote: 4 clans, 15 players, 2+ hours with zero lag, most epic game I have ever seen and played, and icy tirelessly casted every second of it alone, after having designed the system alone, and done a hundred other things to make this happen that continue to go unremarked and unappreciated. 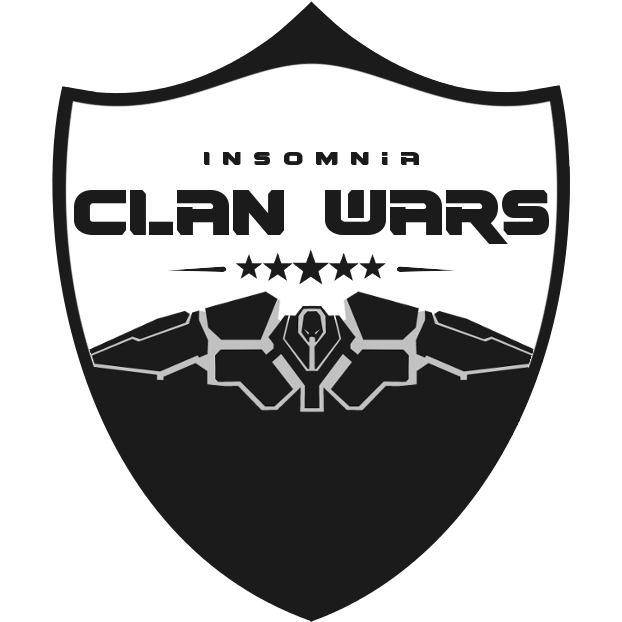 We hope that there will be another war next weekend, and that it will be even more epic. Say to your mates, that they was good in last battle. I saw skill progress. I glad, because it make event more interesting. I especially liked seeing whoever cleared out some boombots with the bombers. That was quick tactical thinking and reacting that we don't usually do. But on the other hand... recoil continues to try to build stuff like Titans when the energy is at -20K, instead of trying to unclog the economy. Gotta work on that man.